A common question I get is how to make somethinggluten-free. For things like baked goods, you can use a gluten-free all purpose flour blend (purchased commercially or made at home) or try my nifty oat flour trick. 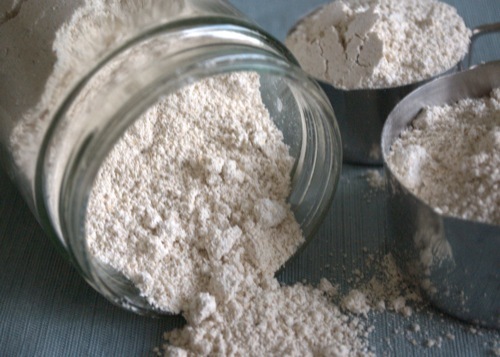 The trouble comes when you need to replace vital wheat gluten, or you want to make seitan which is all gluten. Gluten-free gluten? Is that even possible?! 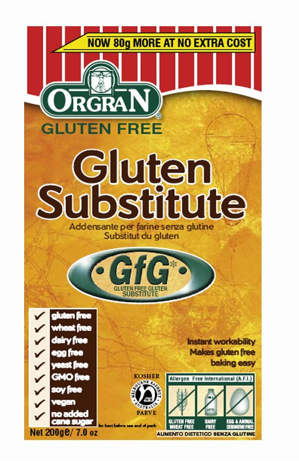 My friend Talia introduced me to OrgraN’s Gluten-Substitute more than a year ago. I’ve been recommending it right and left ever since and have had many Herbies write me thanking me, saying this product changed their life. You can use it to make seitan, but you can also use in instead of vital wheat gluten in any recipe. Amazon sells it in bulk, but if you don’t want to buy several boxes right off the bat -- check at small, independent and locally owned health stores. I never found it at Whole Foods Market, but the small little heath store in my neighborhood had it. Any store with a large and generous gluten-free section might also have it. It also never hurts to ask a store to carry it. If they already have other OrgraN products, I don’t see why they’d say no. Have you used OrgraN? What did you think?